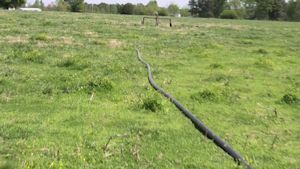 This pig farm has a retention pond that holds pig urine and feces. 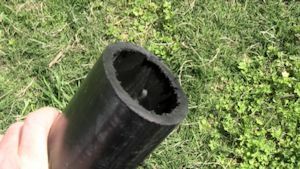 After the waste has been treated and fermented, the waste is pumped through black poly pipe and sprinkled on the land for fertilizer. This pipe had been run over by a tractor and damaged. Cut away the damaged section. Bevel the ends of the the pipe with a rotary tool and a tear drop shaped bit. 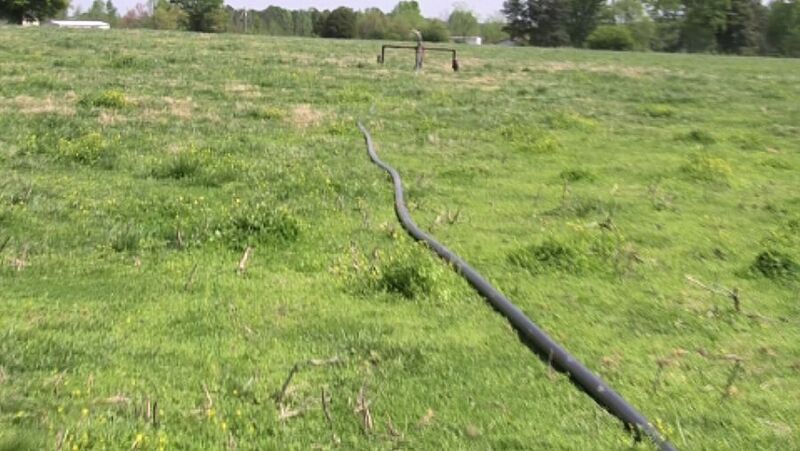 This "channel" will be filled with polyethylene welding rod. 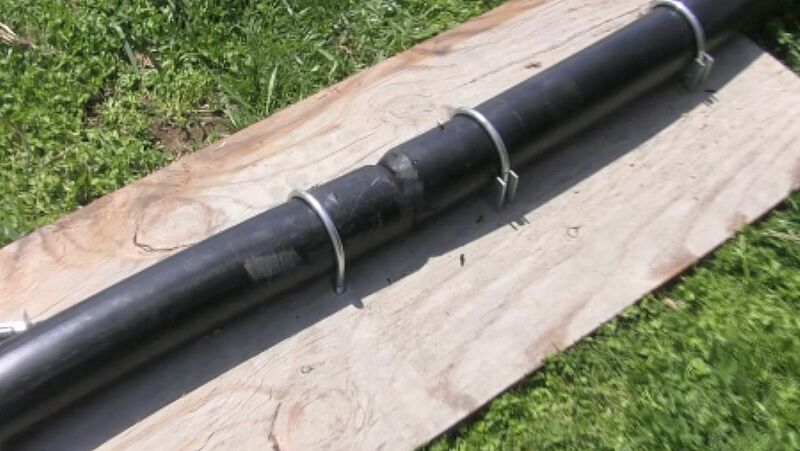 To keep the pipes stable, use muffler clamps and clamp the pipe down to a piece of plywood. 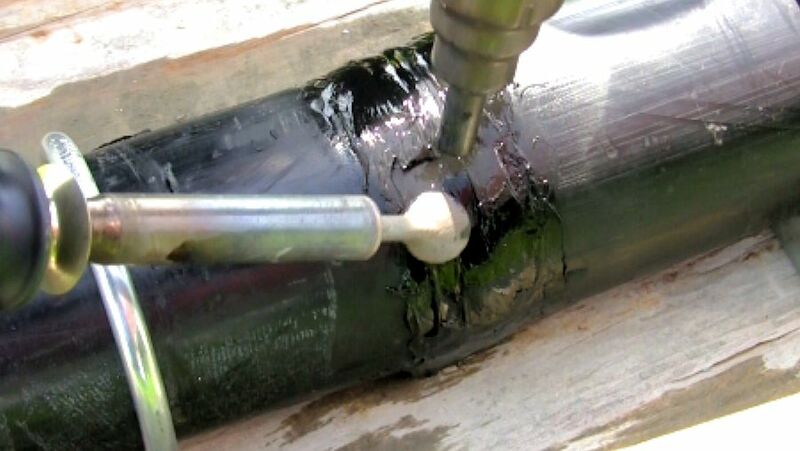 Use several different profiles of black polyethylene welding rod. 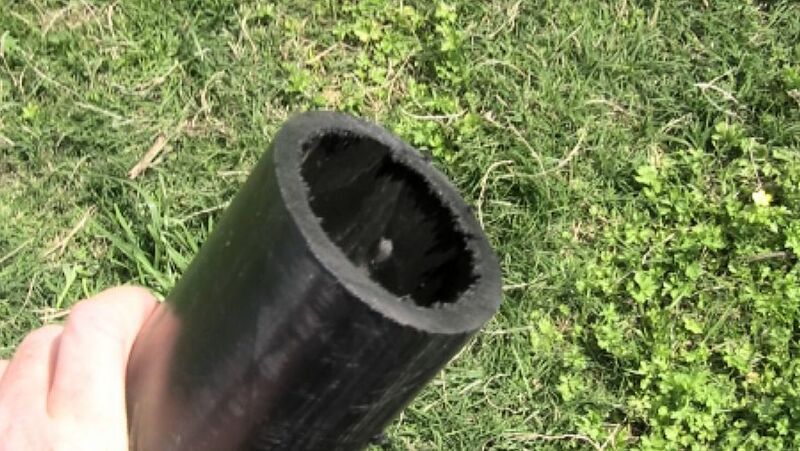 Start with the 1/8th inch (3 mm) rod and, as the plastic starts to build up, switch to the wider polyethylene ribbon. 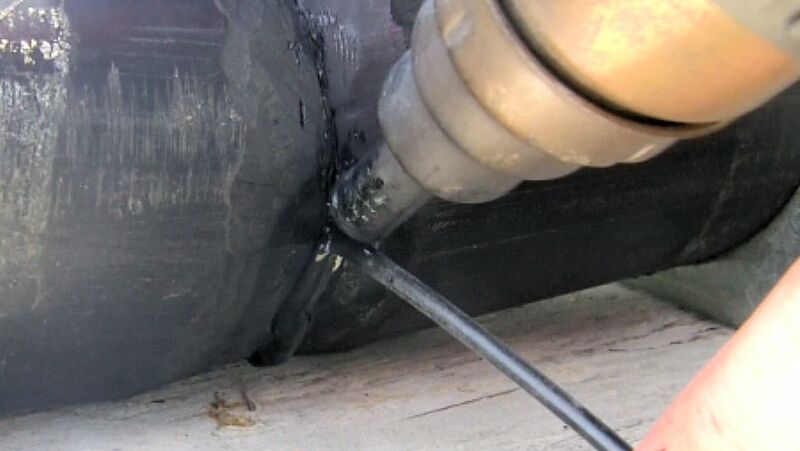 Make several passes until the weld was the same thickness as the surrounding pipe. 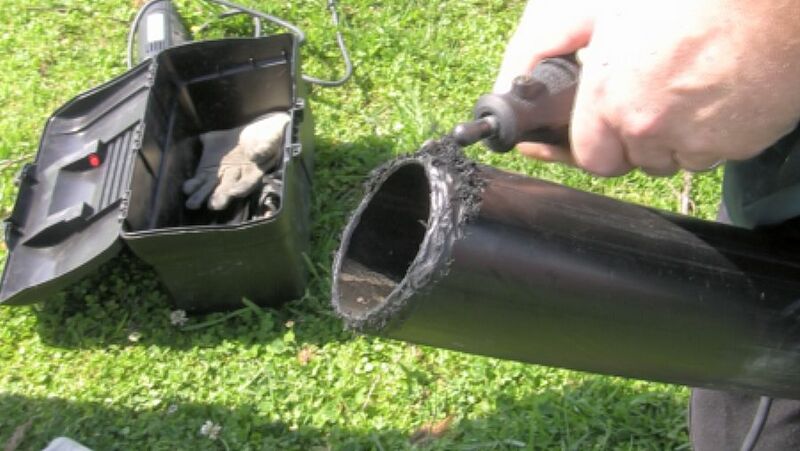 Soften the plastic with the hot air welder and smooth it out with the airless plastic welder. Allow time for the weld to cool and solidify, and then loosen the clamps just enough to rotate the pipe so that you will have access to the unwelded part. 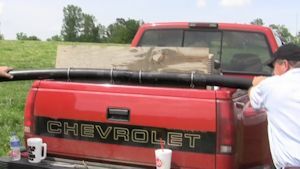 You will need to raise the pipe off of the ground to get better access. 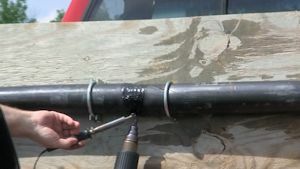 Fill in the unwelded section with polyethylene rod until the thickness of the matches the thickness of the plastic pipe. 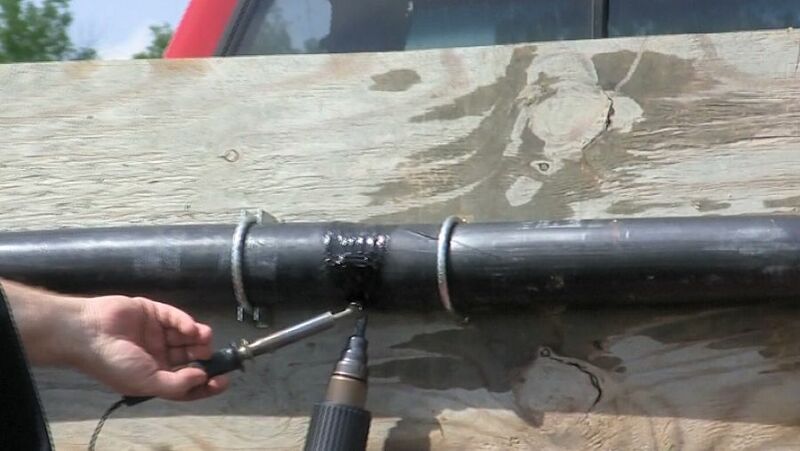 When you are finished, allow plenty of time for the weld to cool off and soldify before you remove the clamps.